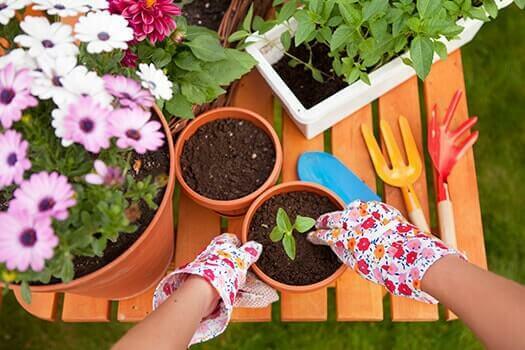 On one hand, tending to a garden on a regular basis can be a great way to stay active. On the other hand, some of the tasks associated with caring for a garden place extra stress on your spine. According to leading Los Angeles spine surgeons, taking a few precautions before planting, weeding, and watering can reduce your risk of experiencing back pain while gardening. The bending and twisting associated with gardening can place a lot of stress on your spine. When picking things up, bend at the knees and waist and use your legs for lifting. If you’re going to be yanking weeds, considering using a gardener’s stool. It’s easy to lose track of time while working in the garden. Take a bottle of water outside with you to maintain proper hydration levels, which is necessary for the spongy discs supporting your spine. A diet that includes fruits and veggies and omega-3-rich fish like salmon can help naturally reduce the inflammation that often makes back pain worse. Antioxidant-rich foods like blueberries can also protect cells in and around your spine. Prepare for your gardening activities by taking the right tools with you. A wheelbarrow, for instance, can make it a lot easier to transport a heavy bag of topsoil or compost. Even if your neighbor already has a beautiful garden that would make Martha Stewart green with envy, resist the urge to do too much at any given time. If you really want to get things done, make it a group effort and get some help. Take a break from gardening if you begin to experience back pain. If a little rest, some home remedies like the use of heating pad on and off for a day or two, or over-the-counter pain relievers don’t help, see your doctor. The Spine Institute Center for Spinal Restoration is a leading spine surgery center in Los Angeles. For more information about conservative and surgical treatments for back pain relief, reach out to Dr. Bae and his team of experienced spine specialists by calling (310) 828-7757 today. We are here to help.